Have you seen the bunnies recently? 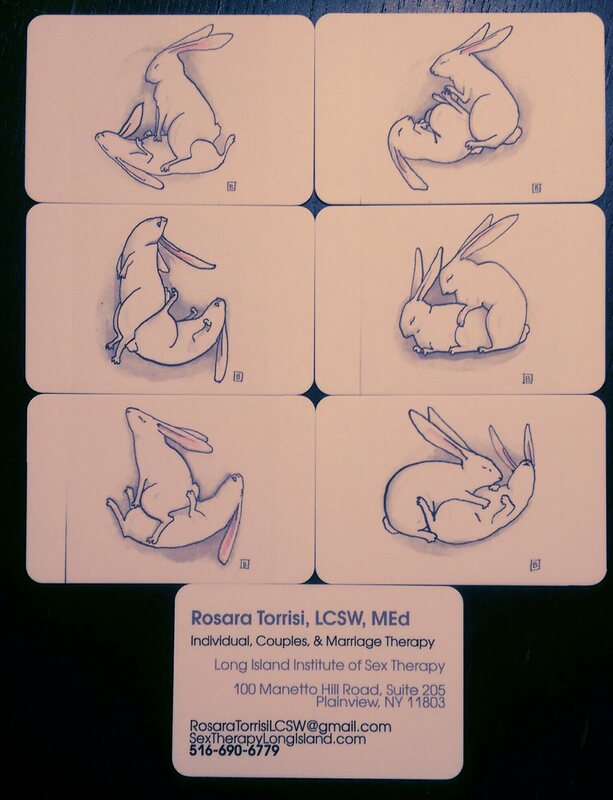 No, not the Easter bunny– the wonderful Kama Sutra bunnies by artist Bronwyn Schuster that have been hopping around on the LIIST business cards and some ads that can be found in places like the Plainview-Old Bethpage Chamber of Commerce website, and our letterhead. 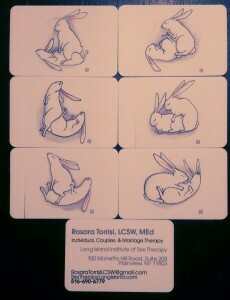 There are SIX different positions, see if you can collect them all!